New and improved KNECHT look air filters for Solex 40 PII carburetors. Used on 356 Super 90 - SC - 912. 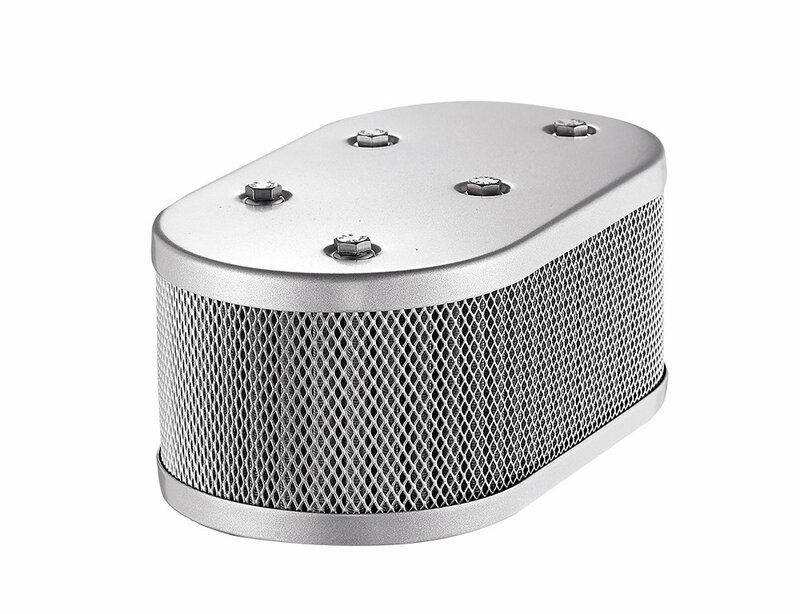 Stainless steel and felt filter element included, it can be removed and cleaned by compress air. Velocity stacks can be mounted inside. Velocity stacks sold separated. Fits Solex 40 carburetors on 356 Super 90 - SC - 912. Dry Style high performance Stainless steel and felt filter element. Metal parts were made by #304 Stainless Steel. Silver powder coated to remain original KNECHT look. The “ 5 Bolts “ Locking on Top Plate, retain KNECHT classic style. Maximum tighten to 5 N.M. on all bolts.